And when denying the existence of puppy farmers supplying pet shops became totally untenable (because of course pet shops purchased from puppy farms, even they didn't deny it), the PIAA changed strategy. The organisation, in conjunction with the Australian Association of Pet Dog Breeders (AAPDB) created an on-paper 'accreditation scheme' for bulk commercial breeders. This scheme was backed (inexplicably) by the RSPCA NSW. ‍Speaking at the launch at NSW Parliament House, PIAA Chief Executive Roger Perkins said consumers can now be confident that by buying a dog or puppy from a PIAA members store, they are helping stamp out dodgy puppy farms. “Dogs and puppies sold in our stores will only be from PIAA approved breeders who care for their dogs” Mr Perkins said. Any dog purchased from a PIAA member that is subsequently abandoned by its owner will be re-homed and saved from euthanasia. The first state to implement PIAA re-homing is NSW, where PIAA has partnered with RSPCA NSW. On literally the very same day that this announcement was made at NSW Parliament House, PIAA boss Steve Austin was in the news for other reasons. Animal lovers want Australia's top pet industry representative to resign after he posed for a photo while holding a dead cat. 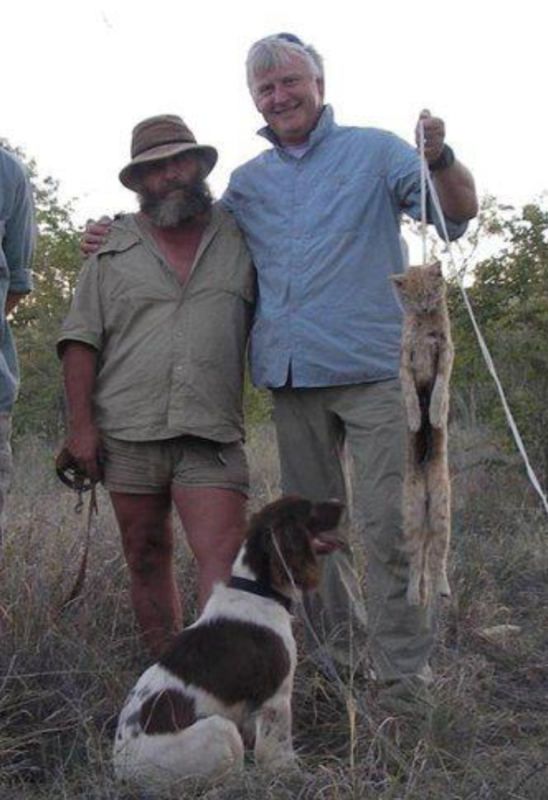 Steve Austin, Pet Industry Association of Australia president, was pictured smiling with two friends as he held a feral cat dangling by its neck from a rope. PIAA chief executive officer Roger Perkins said Mr Austin had been "having a bit of fun" after a day spent hunting feral cats in the Kimberley ranges. But dead cats aside, just twelve months later the issues with a self-enforced accreditation program for commercial breeders became apparent. Video (April 2013): The President of the Australian Association of Pet Dog Breeders (AAPDB) Kate Schoeffel is forced to resign after a serious case of neglect at her own dog farm received national attention. The AAPDB is endorsed by the PIAA. You would think that two massive public fails; the President of the PIAA being photographed laughing with hung cat, and a major stakeholder being forced to step down for running the bad kind of puppy farm, would serve as some kind of warning to run, not walk away from the PIAA. But it didn't. The RSPCA QLD would choose to run headlong into the same nonsensical partnership. Only 12% of puppies are purchased from retailers, with the majority bought online or through advertisements. From July 1, the peak body for animal sellers - the Pet Industry Association of Australia - will guarantee any puppy sold from its member stores will be from an accredited breeder. The deal also ensures any dog bought from the PIAA would never be euthanised if abandoned. Instead, the RSPCA will take responsibility for finding the dog a new home. The PIAA represents about one-third of Queensland's 400 pet stores. Agriculture Minister John McVeigh held a press conference to unveil the deal alongside PIAA chief executive Roger Perkins and two dogs from the RSPCA named Phil and Bobby. And here's a shocker. By the end of that year too, the PIAA was in the media for all the wrong reasons again despite these renewed assurances. Long term endorsed PIAA member Banksia Park Puppies was found to be trying to get unhappy customers to sign confidentiality clauses in association with refunds for sick animals. A family has been forced to put down their beloved 14-month-old puppy because he was a "genetic disaster". Max, a spoodle bought by the O'Reilly family last year, was euthanised in August after he developed serious problems with his limbs and hips. Ms O'Reilly asked Max's breeder, Banksia Park Puppies, to refund more than $5000 she spent on his medical care. They agreed, but only if Ms O'Reilly signed a confidentiality clause, which she refused to do. But there's never a dull moment in the world of dog farming. Fast forward just a couple of years and despite all the promises and hubris and guarantees and RSPCA-backed assurances, it seemed very little had changed. John Grima, the owner of Kellyville Pets and owner of the proposed mega-breeding facility near Bathurst, would join the board of the PIAA in February of 2015. And the PIAA was still in the media for problems with their "supply chain" and their inaction in stamping out cruelty. When a $2300 puppy collapsed nine days after being bought from a pet store in Perth, his heartbroken family began asking questions. The store owners said the dog came from a "reputable" breeder. Two scrawled words on a scrap of paper have since proven otherwise. Prior to melting hearts in a shop window, "Torro" had an arduous 4000-kilometre journey from a NSW property where breeding dogs and cats are kept in stacked cages. Their sole purpose is to produce never ending litters of animals for profit. The RSPCA has confirmed that during two separate inspections this year, it removed 45 sick dogs from the site and served notices for breaches to the Animal Welfare Code of Practice. It is also currently investigating alleged offences associated with the sale of "sick or unwell puppies". And Fairfax Media has also found that consumers are still being misled into buying pet shop puppies, at the same store Torro was bought from and coming from the same NSW breeding mill, on the back of a "guarantee" from Australia's peak pet industry body that they are "not the product of puppy farms". 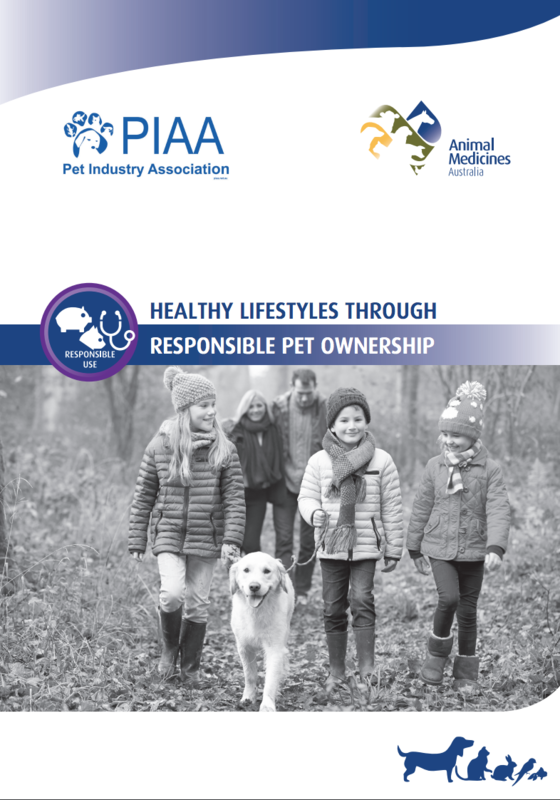 Representing the "whole breadth" of the pet industry, the Pet Industry Association of Australia (PIAA) provides the public with a "policy guarantee" that "all dogs" purchased from its member retail stores, including the Perth store where Torro was bought, are "sourced from responsible breeders". "This is completely misleading and deceptive conduct that should come before the Federal Court, through immediate intervention by the ACCC," said the Animal Justice Party's NSW MP, Mark Pearson. Acting PIAA chief executive Bob Croucher said: "This is obviously not what we are about. We have codes of practice which we ask all members to adhere to. But we are not an enforcement body. We can't take people to jail." When it was pointed out that the PIAA "guarantees" peace of mind to concerned consumers, he said: "Within the constraints of our ability, yes." Mt Lawley Pets & Puppies co-owner Chris Emory said he categorically denied allegations his shop had ever knowingly purchased a dog from a puppy farm. But a spokeswoman for RSPCA NSW said the Uralla property, where Mr Emory had bought animals from, was a puppy farm. "RSPCA NSW has said repeatedly it is a puppy farm," she said. "The property at Uralla was inspected by RSPCA NSW and does fit the definition of a puppy farm." The Pet Industry Association of Australia (PIAA) provides a "policy guarantee" to consumers that "all dogs" purchased from its affiliated stores are "not the product of puppy farms." But as it moved to reassure the public of its "zero tolerance" stance towards puppy farms, Fairfax Media received correspondence that shows complaints, dating back two years, were lodged with consecutive CEO's, about retail links to cruelty sites. In both cases, there was no response. In the wake of these revelations, PIAA is now staring at a possible legal challenge over its assurances to the public after a national league of barristers confirmed it had provided "confidential advice" on the matter. The Barristers Animal Welfare Panel is known to have a strong relationship with the ACCC, having persuaded it to initiate the famous 2013 "free to roam" legal case in which Australia's largest poultry producers that supply Steggles branded chickens – Baiada Poultry and Bartter Enterprises – were successfully prosecuted in the Federal Court for making "false, misleading and deceptive claims". While the panel's director Graeme McEwen was coy about the PIAA case, he asked: "How does one offer a guarantee unless you have taken steps to check and monitor whether members conform with guidelines. To offer a guarantee idly is to provide false hope to a customer." The RSPCA's South Australian CEO Tim Vasudeva confirmed that paperwork connected the site with two PIAA accredited pet stores, including the Perth shop exposed in last week's Fairfax Media expose. As rescue groups rallied with the local community to save the animals, Oscar's Law founder Debra Tranter contacted the PIAA's then CEO, Roger Perkins, to inform him of the developments – and links to PIAA retail members. In an email dated June 18, 2013, she thanked him for the opportunity to meet in Melbourne a fortnight previously, then advised: "Very disturbing that the recent Strathalbyn puppy factory was supplying PIAA pet shops. This really is consumer fraud and PIAA need to make stand. PIAA clearly cannot control where these puppies are coming from." On Ben Fordham's 2GB radio show in May, Mr Croucher said: "I can guarantee you PIAA shops do not buy from puppy farm factories." However, during the same interview, he acknowledged some of those same shops use third party "brokers" to source puppy stock on their behalf. The RSPCA's Mr Vasudeva said: "From our perspective, he knows there are no mechanisms in place, at PIAA, to allow him to actually make that guarantee. And yet he still makes it." Of using brokers, he asked: "How can you possibly provide promises to the public when even your own stores can't be sure where these dogs are flowing from?" PIAA director John Grima said: "We make best endeavours to ensure our members adhere to the commitments we make to customers about the origins of their puppies. We agree...more needs to be done to stop puppy farming – and we want to work with government to achieve that objective, including a role for properly accredited pet store operators." Mr Grima described pet shops as more "transparent" than online sellers who operate "out of public view." Ms Tranter said: "We're witnessing the last, desperate gasps of a dying industry. With the exception of PIAA, virtually everyone is calling for a ban on puppies sold in retail stores." In October 2015 - the same year John Grima joined the board - Matt Hams, a third-generation commercial dog breeder and owner of one of Victoria's biggest dog breeding operations at Banksia Park (formerly ACA Pups) also joined the board of the PIAA. And then everything changed in the state of Victoria. Newborn puppies and kittens will no longer be available for sale in pet shops under a new law in Victoria. Breeding businesses won't be able to run or own a pet shop either, under the new state laws. "This is an industry being run out of town by government," Agriculture Minister Jaala Pulford told reporters on Friday at a Melbourne animal shelter. "We have permanently broken the link between pet shops and animal breeding." The Victorian experience presented a problem. 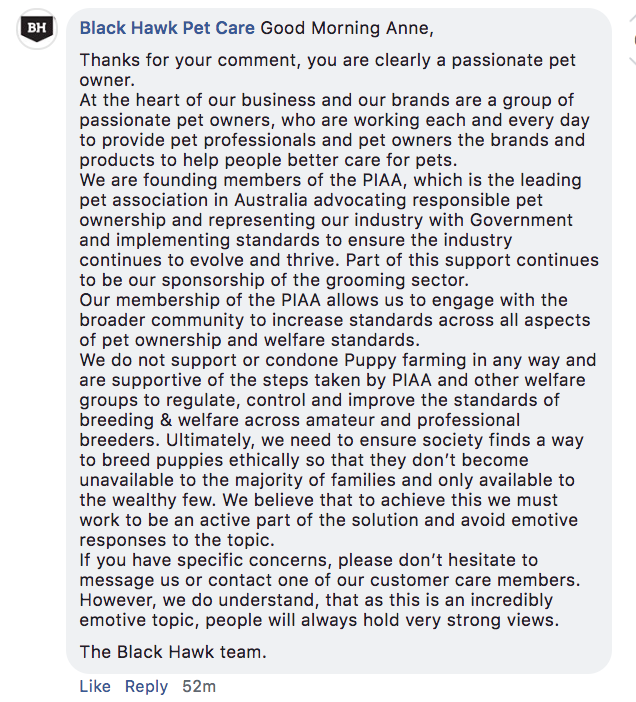 The PIAA now realised that arguing that a for-profit company had the "right" to breed dogs in large numbers, and people had the "right" to buy them from pet stores didn't seem to be engaging either the public or the politicians. Their grand ten-year plan to enamour the Australian public to their industry was an abject failure. ... champion of "responsible pet ownership". To mark International Cat Day, the Have We Seen Your Cat Lately? Program is putting the spotlight on the hidden health risks Australian cat owners may not be aware of. According to Bondi Vet Dr Lisa Chimes, this new study shows us that many cat owners may be underestimating their cats risk of infectious and parasitic diseases. While the jewel in the "responsible pet ownership" PR exercise crown? With an extensive array of entertainment, celebrity appearances, education and information sessions and exhibitors spread over a massive 6,000m2, there’ll be something for everyone. The expo is also not just for human-kind to attend, the event is pet-friendly, and attendees are encouraged to bring their four-legged family members for a $2 donation that will be given to ‘The Sanctuary Women’s Refuge’. Hours of fun and education for the whole family. 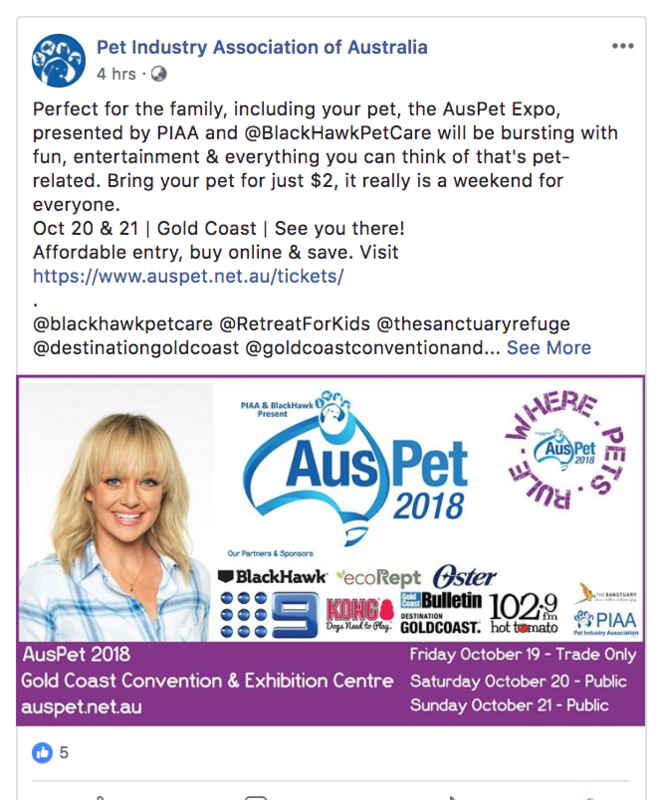 Event partner Black Hawk Pet Care trotted out the company line that the PIAA is "the leading pet association in Australia advocating responsible pet ownership". Which is a pretty remarkable claim given the organisation didn't run a campaign even featuring the words "responsible pet ownership" prior to 2018. This year. The RSPCA Queensland has decided to attend and responds to queries about why (oh, god - seriously why?). 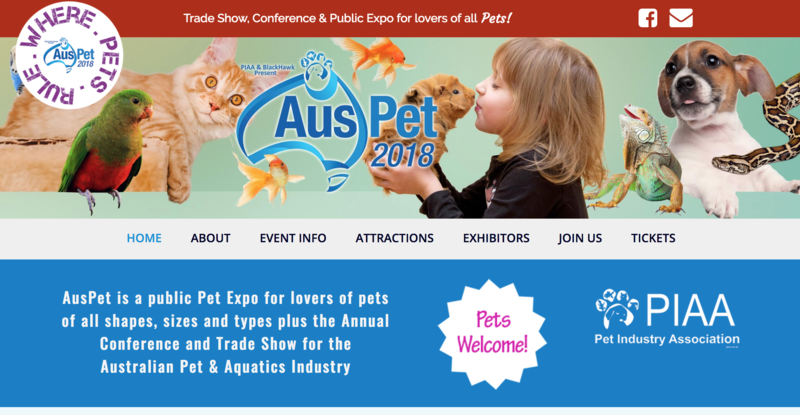 And apparently they're going along to double-cross the PIAA by educating people fooled into buying from pet stores: "
While the Animal Welfare League is going along to do a literal song and dance at the request of conference organisers. When of course a much stronger message would be a united one which said there is no way our animal loving charity will attend an event designed entirely to overhaul the reputation of commercial dog breeders. You can let the RSPCA and Animal Welfare League QLD know your feelings about their attendance via their facebook pages.